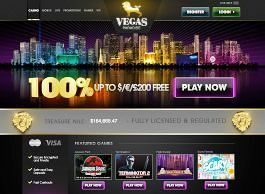 Vegas Paradise is another superb online casino breaking onto the virtual real money gaming scene. The casino boasts an incredible array of designers and gaming sections as well as an excellent customer service department; a trio that has brought this online casino into the limelight rather quickly. 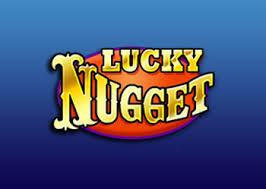 The sudden popularity comes as no surprise when you hear the names Microgaming, NextGen, NYX, Wagerlogic and Quick Spin. Vegas Paradise is also well backed as this new kid on the block is also fully licenced by the Maltese gaming authorities; while its main software contributor is eECOGRA approved. ProgressPlay Ltd manages Vegas Paradise and the entire casino experience is powered by Microgaming via Quickfire, which provides the lion’s share of mobile, live and desktop casino games. Coming in through Microgaming’s Extended Third Party Interface (ETI) Quickspin, Sheriff Gaming, NYX, NextGen and Cryptologic also have their say by adding to fun on the extensive gaming lists found on Vegas Paradise. All the above mentioned software providers’ games are accessible via instant play whether you play via ProgressPlays mobile gaming system or via the desktop interface, so there is no requirement to download the software. iOS, Android, Blackberry and Windows portable devices all have access to a huge number of games designed specifically for mobile play. Next there is the RNG system that is run by a third party company keeping all games fair. Anyone that is familiar with the real money gaming scene will be pleased to know that Pretego provides its third party RNG 100, which is regularly updated and protected behind 128 bit SSL firewalls that are also responsible to protecting customer data and connections used for financial transactions. With so many designers rolling out their games via Microgaming’s Extended Third Party Interface, Vegas Paradise offers one of the most diverse online gaming experiences around. Some of the top titles in the slots world can found from Microgaming, NextGen, NYX, QuickSpin and Cryptologic. Race through the world’s scariest jungle safari on Microgaming’s brand new 1024-Ways-to-Win Jurassic Park thriller, go on an adventure with Lara Croft in Secret of the Sword or smash in a mega progressive jackpot win by visiting Vegas Paradise’s jackpot section where you’ll come across the latest titles such The Dark Knight Rises with 243-Ways-to-Win. Table gaming offers even more excitement with multiple styles of Blackjack providing players all manner of betting options and a Roulette table with up to 8 wheels to spin simultaneously giving players the chance to rush through their roulette variation. 3-Card Poker, Texas Hold’em and Baccarat additionally add to the entertainment. Plus if you are looking for live dealers to slow down your betting on the tables and increase the authenticity of your wagers, one of the only eCOGRA approved gaming sites is right here at Vegas Paradise via Microgaming. Finally, video poker fans will not be disappointed as Vegas Paradise has a selection of poker slots that come with double up gambles, wild cards and high pay-outs. The welcome bonus is a 100% deposit match up to $/£/€200. Only British citizens can claim the bonus in sterling, so if you are not a resident, then choose $/€. Once you have your welcome bonus and real money player status, Vegas Paradise has more in store. A random giveaway presents players that have deposited within 30 days a random prize; while there is also a chance to make a deposit for the Insurance Thursday promotion and get up to $/£/€200 of your losses paid back. More bonuses are attached to selected games on the site whereby the player that wagers the most amount of cash on that day will be rewarded a special prize. If you love your slots, then look out for the $/£/€20 bonus in exchange for racking up a total of 150 VIP points. In fact, players on Vegas Paradise are constantly rewarded via the VIP point’s scheme that gives away cash for points and at the same time members will be climbing the VIP ladder to gain more rewards for patronage. Anniversary and birthday presents are awarded plus if you are a serious VIP member, then you’’ have access to your very own support team and casino manager. Hassle free deposits and withdrawals are always a sign of a great and trustworthy casino. Vegas Paradise is certainly one of the best contenders when it comes to dealing with the finical side of its membership base. Withdrawals take between 5 and 10 working days; whereas bank transfers clear after 15 days and cheques after 32 days. As for deposits, as long as finds are available and approved by your financial service, deposits are instantaneous except for in the case of cheque payments. You could almost accuse Vegas Paradise of getting carried away with its customer services as they are so quick at responding to all enquiries. Instant chat is the quickest way to get in touch as the wait times are minimal and service 24 hours 7 days a week. Emails are also quickly dealt with. Why Play at Vegas Paradise Online Casino? Diversity, great customer service, ease of use and a long list of games that offer the latest titles coming from the best software designers in the business. The casino also has a selection of games that are available on multiple platforms and devices giving the overall Vegas Paradise experience full marks all round and maybe the best casino you can find.